Posted on August 26, 2016 by Alicia Bay Laurel	in Shop. Living on the Earth, 4th ed. Posted on May 28, 2015 by Alicia Bay Laurel	in Blog and tagged Living on the Road ebook. Schedule as of July 13, 2015. Complete. 07/08 Mana Natural CafÃ©, Naha, Okinawa, live music event with Sachiho Kojima. Start 19:00. 07/24 Kagure in Omotesando, Shibuya, live music and talk, CANCELLED. 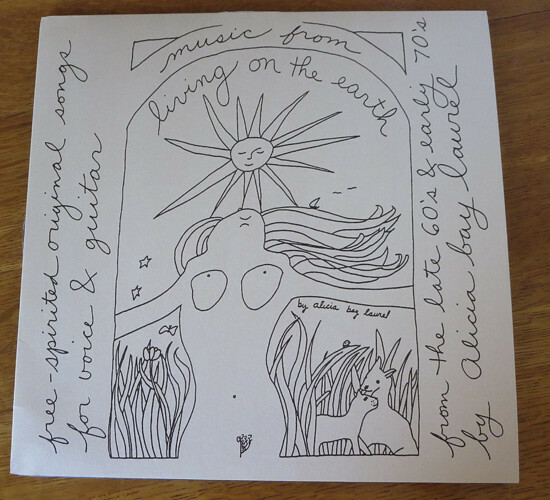 Posted on May 6, 2015 by Alicia Bay Laurel	in Blog, Music and tagged albums, News of Alicia's Music. 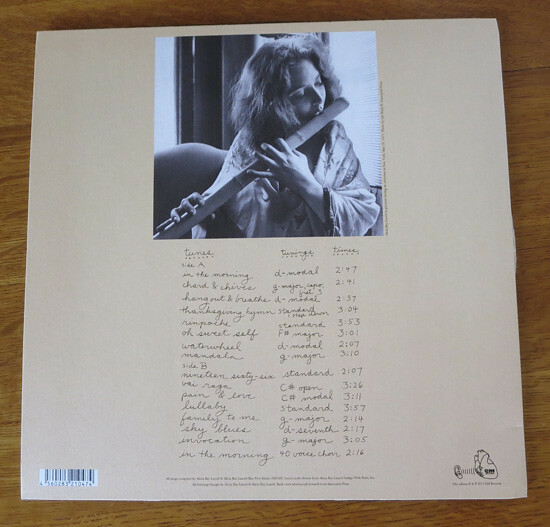 “Music From Living on the Earth,” my first ever vinyl LP arrived today – 5 copies. 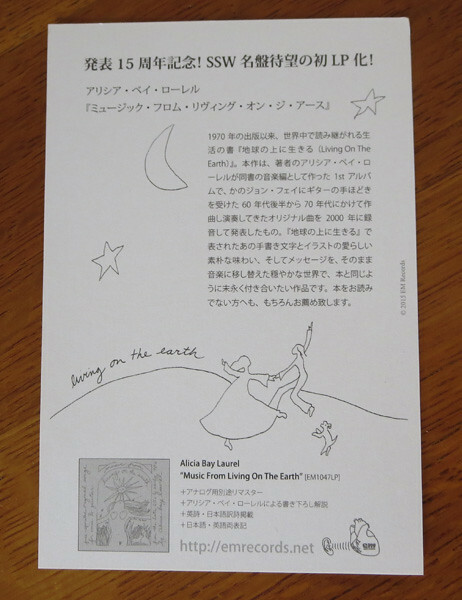 EM Records, in Osaka, made the LP from my first CD, the one I released in 2000 for my self-made eight-month national tour promoting the 30th anniverary Villard/Random House edition of Living on the Earth. 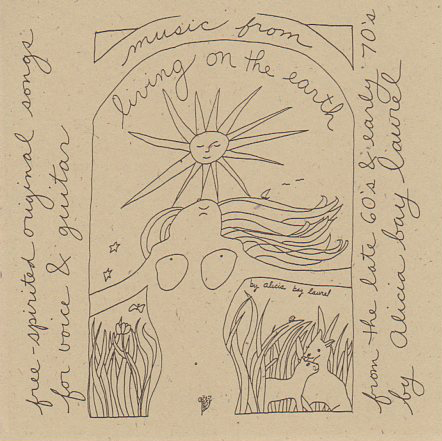 On the back cover is a photo that was taken in 1971 during a New York City book tour for the Vintage/Random House second edition of Living on the Earth. EM Records licensed it from the Associated Press. However, I actually WAS discovered by a record company. Koki Emura, the owner/producer of EM Records, saw my first two CDs when I posted them at the CD Baby online indie record store, where he was browsing for new releases. He knew my book, and he knew it was popular in Japan. He bought copies of the two CDs, listened and liked them, and offered license them both for distribution in Japan with Japanese language covers and liner notes. They were released in Japan in 2005, and the following year I began doing concerts in Japan, and sold plenty of them for him. 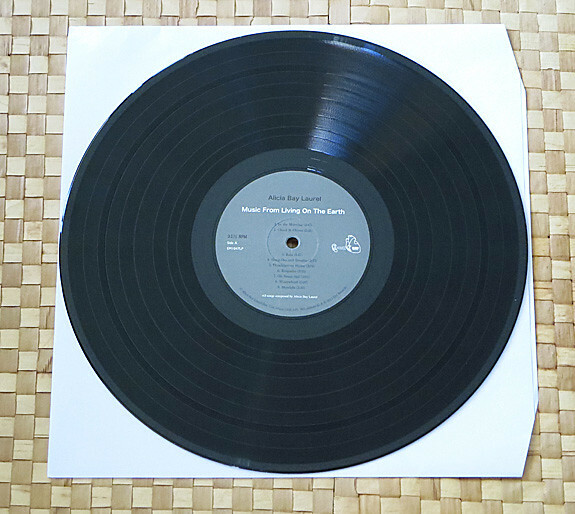 In 2014, Koki Emura proposed that “Music From Living on the Earth” be released as a vinyl LP. Of course, I agreed. So here it is. A thousand thanks to you, Emura-san! 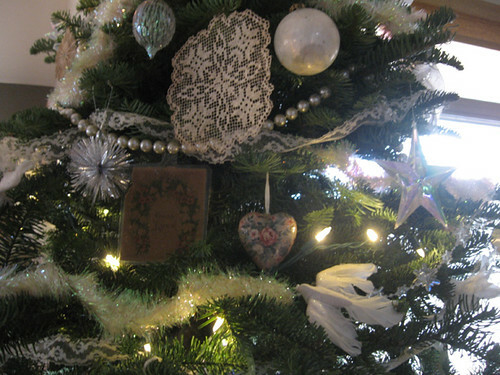 Posted on December 21, 2014 by Alicia Bay Laurel	in Blog, Recipes. Tomorrow I am going to the Hanukkah latkethon of Lyndia Lowy, my friend-since-we-were-12, who has been frying potato pancakes (and carrot, cauliflower, sweet potato, and zucchini pancakes) for weeks (and freezing them). Usually fifty or more of her best friends show up. Our tradition is that I bring a massive tossed salad of my own recipe, which, because of its similarity of ingredients to borcht soup, I call Borcht Salad. My feeling is: If everything else on the menu is oily, hot, starchy and golden in color, then the complementary dish should be cool, crunchy, spicy, sweet, sour and deep maroon and purple. And made from organically grown produce. I use a Champion Juicer without the lower screen or plate, so the veggies are quickly shredded by the rotating blades. A food processor with shredding set-up works well, too. The Champion Juicer just makes it, well, juicier. However, it does NOT mince the red onion much at all; that job is best done with a good sharp food prep knife. 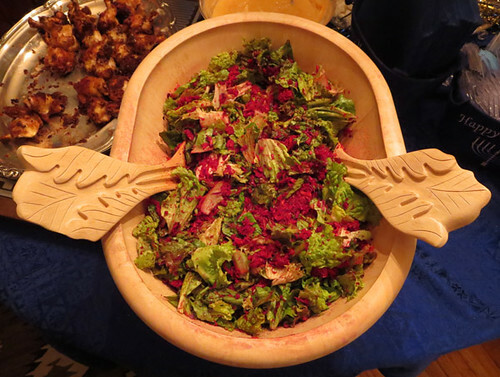 Unless I have a huge serving bowl, I like to prepare the vegetables ahead in four equal bagsful, so that the next salad can be quickly put together when the serving dish is empty, or served in four bowls along a banquet table. 3 large beets, peeled and cut into long pieces that will fit into the round hopper of the Champion Juicer. 1 whole, small red cabbage, with the stem removed, cut into long pieces that will fit into the round hopper of the Champion Juicer. 4 whole red leaf lettuces: each leaf washed and dried in salad spinner, then torn into pieces by hand. To assemble: pour the contents of one bag of shredded vegetables and one bag of torn lettuce into a large serving bowl and toss with extra virgin olive oil, balsamic vinegar, sea salt and black pepper.